Spring is my favourite time of the year! You do? 'Course you do! After a stupidly long winter, it's finally sunny and sort-of warm again! 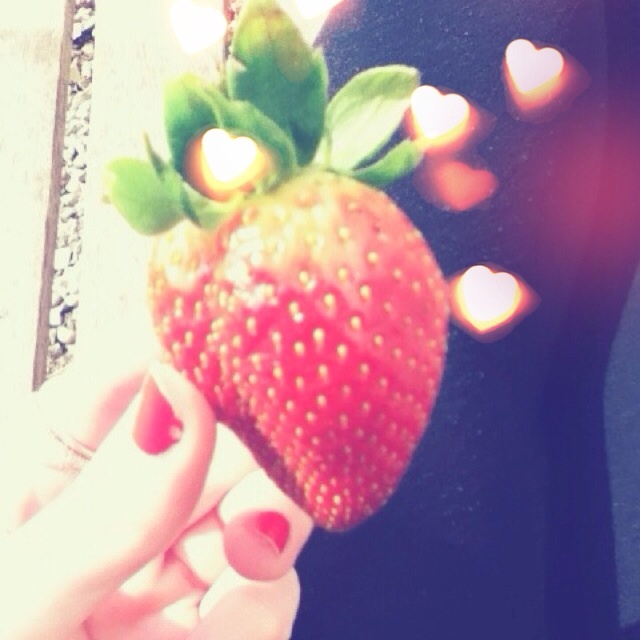 Ate the first strawberries of the year. They were huge! And I'm actually able to sit outside some, which is amazing. Winter is the worst season for me purely because I end up stuck inside because I can't stand cold. In actual news, Shadows on a Wall is complete. Straight on to Quantum Entanglement. Hello, horrific moral quandaries and assorted angst. Ten down, two to go. Also, Margaret Thatcher died. People seem to be throwing parties. Ding, dong, the witch is dead? Not very classy, if you ask me - but then, what do I know?